I love photography and its ability to capture a moment that can be so expressive, personal, and inspiring all in one frame. 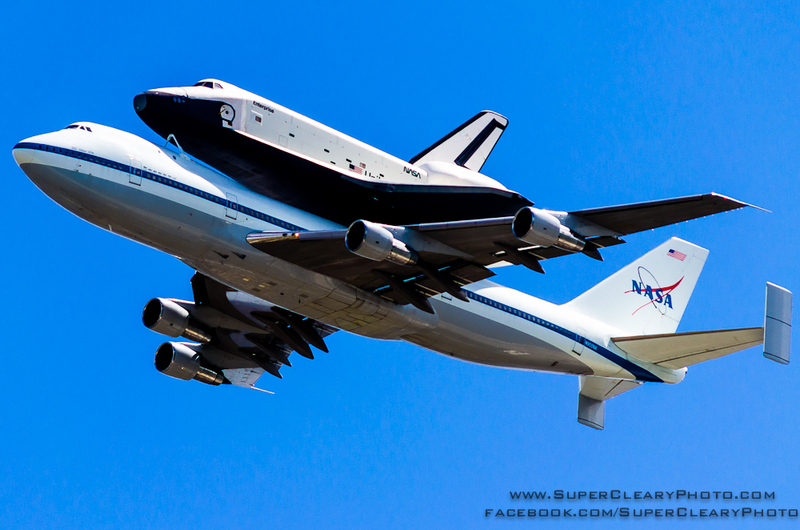 A few months ago, I saw this breath-taking image of the Space Shuttle Enterprise on Facebook and discovered the photographer was Shaun Cleary, founder of SuperClearyPhoto. 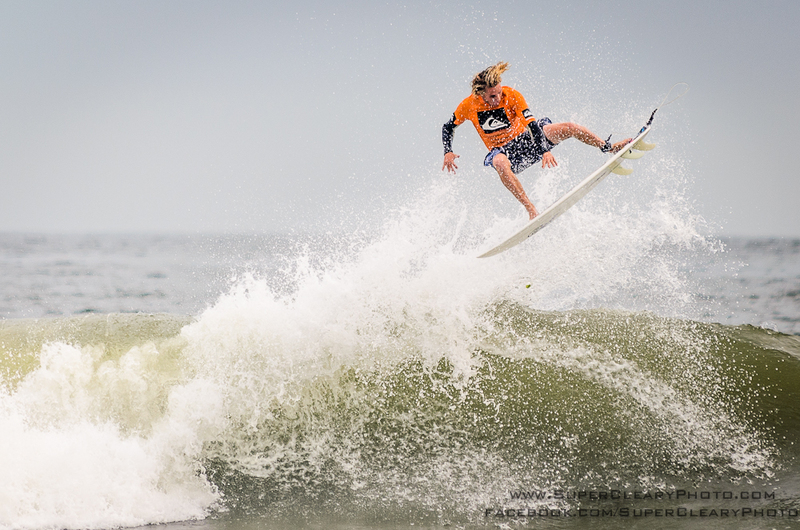 Shaun has been capturing the most amazing photos of Long Beach, NY this summer and recently became the official photographer of the unSound Right Coast Cup presented by Quiksilver. We met on the beach during the contest and I asked him a few questions. It’s funny you ask that because I still don’t think of myself as a photographer at all. I’ve always just happened to be the guy with the camera…. always annoying people to get together for a photo. It has just continued to grow with that from the time I’m spending shooting to the equipment I’ve invested in to improve the overall quality of the image. What continues to inspire me is taking that photo of someone that when they see it, they’re happy. Nothing really beats that. What is your favorite image you have taken? Now that’s a tough one. 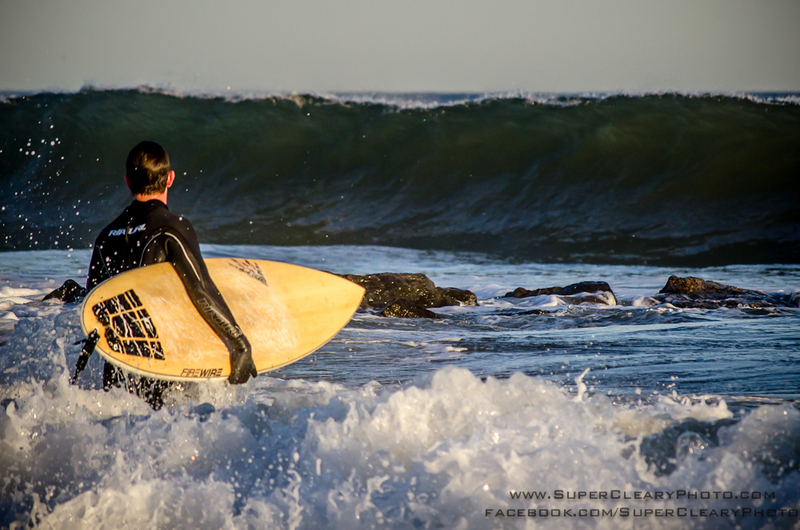 Limiting it to surfing, I actually might have to say this one of my buddy Tom. 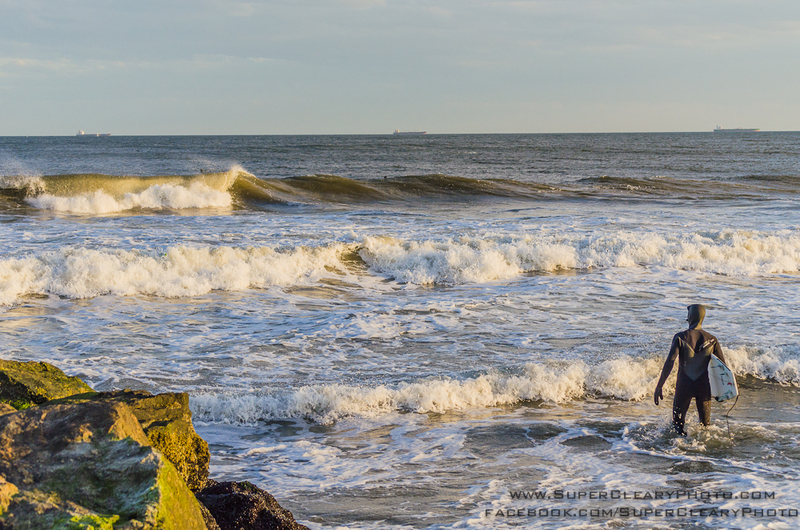 He was headed out on a bigger day in the spring and I caught this moment right before he paddled out where a monster set was coming in and he just stood there and waited for a second as it came crashing in. It was this sort of moment that I’m always looking for, especially in surfing – that interaction between the surfer and the wave, and I think it really came through here. There’s that sense of “oh wow, am I really going out there?” How did Sublime say it? “Only true dudes paddle out?” That’s the sort of vibe I get out of this. When he saw it later on he was stoked and even has a print of it. 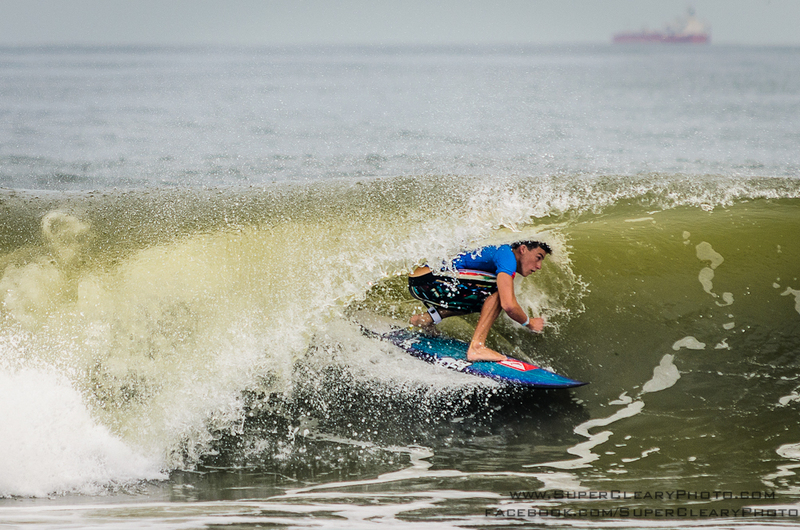 Since you are a local Long Beach surfer, how does that knowledge help you shoot surfing contests like the unSound Right Coast Cup presented by Quicksilver? I think knowing the wave is so important to shooting the wave. Where you’re setting up, the camera’s position effects so much of the composition of the image, so that knowing where and how the wave breaks directly feeds into that perfect composition. Where National Blvd breaks; how Laurelton Blvd bowls a bit. Shooting a surfer head on is good and all, but knowing how that left peels off so that I’m set up a bit farther down on the beach at an angle adds some drama and interest to the shot that you wouldn’t be there otherwise. Also knowing the only way to get around Long Beach on the weekends and the summer craziness is with a bike certainly helps in making sure I’m even able to get there to take the photo! 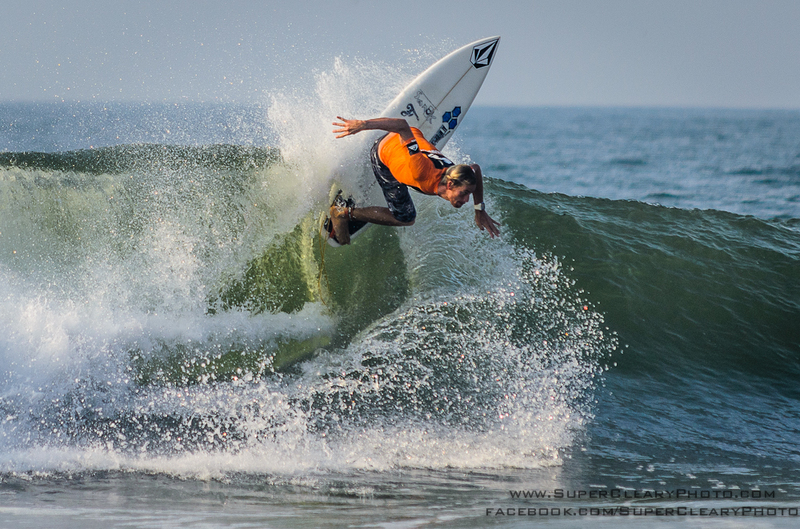 Local surfer Balaram Stack getting pitted. 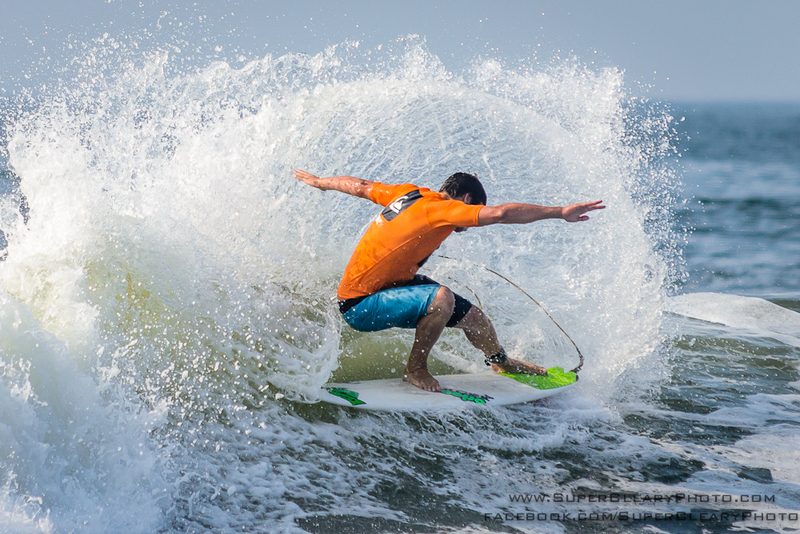 What are the challenges you find when shooting surfing? I think there are two that I’m always dealing with. The first is simply, this is Long Beach. It gets really good – as good as anywhere – but it’s not consistent. Because of that the opportunities to shoot are that much more limited and precious. You sometimes have to make some very quick schedule changes, cancel on everyone and just get down there and shoot if the waves are firing and the weather is good. 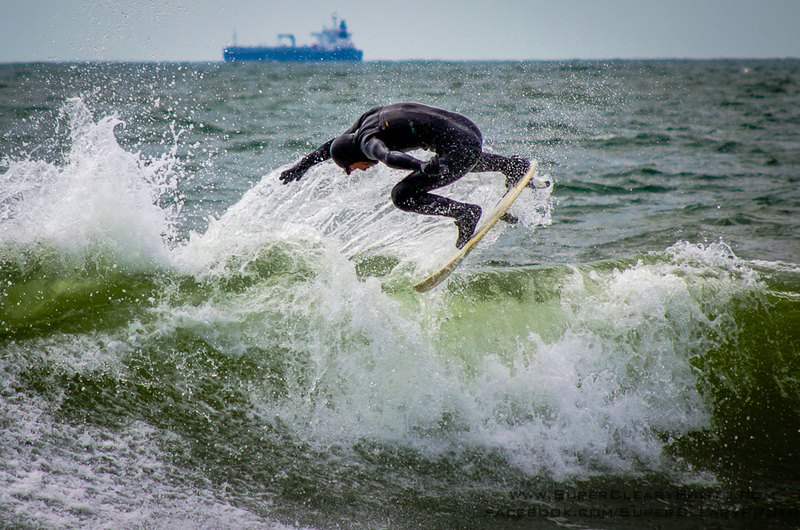 Of course balancing shooting photos of surfing with actually going surfing is sometimes just as hard. On the more technical side, dealing with the lighting situations presented by the ocean. You’re photoing a generally black spec (in the winter and spring) against a huge reflective surface. It can sometimes totally stump the metering on a camera. You need to know your camera and what sort of settings deliver the best results, and adjust for the light without necessarily doing what the camera says will get that perfect exposure. Sure, I miss sometimes, but trusting yourself more than what a light meter says has led to some really exciting images. You took this amazing shot of the space shuttle Enterprise and it made it on the Channel 5 news. What was your reaction? I was floored actually. I was extremely lucky in even capturing the shot when I did and being in the position that I was, and then was even happier when I saw that it was actually in focus when I got the file on my computer. I had some friends that worked at FNC and I asked if they had any interest. They quickly said they did while they were live and covering the story and I sent off a few rough edits. I didn’t hear back for 20 minutes or so, but had the channel on, and looked up in the midst of editing and franticly emailing I saw the photo that was on my computer screen larger than life on the TV with my name burned into it running on the biggest news channel in the country. It really made me think I helped capture a brief moment in history – the last flight of the space shuttle! You can almost see the pilot waving! Just keep shooting. I feel like every time I take photos, I’m learning more about it as well as finding new challenges in the process. I want to continue that progression of just learning the art of photography and continue to apply that to the images I develop. I want to keep making my clients happy and continue to expand the business. Thank you Shaun for taking the time to share your story with us. 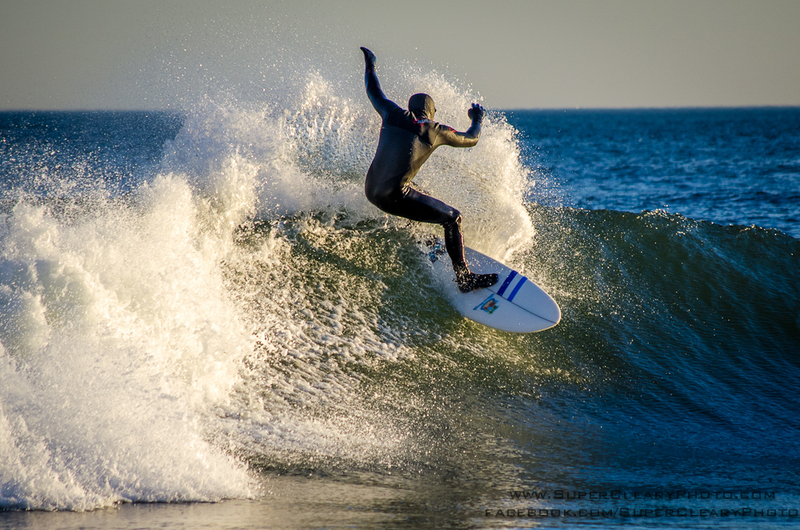 Next time you’re at Long Beach and the surf is pumping look for Shaun…he’s the guy getting the best shots at the right angle. Check out SuperClearyPhoto site for more info and to purchase prints.